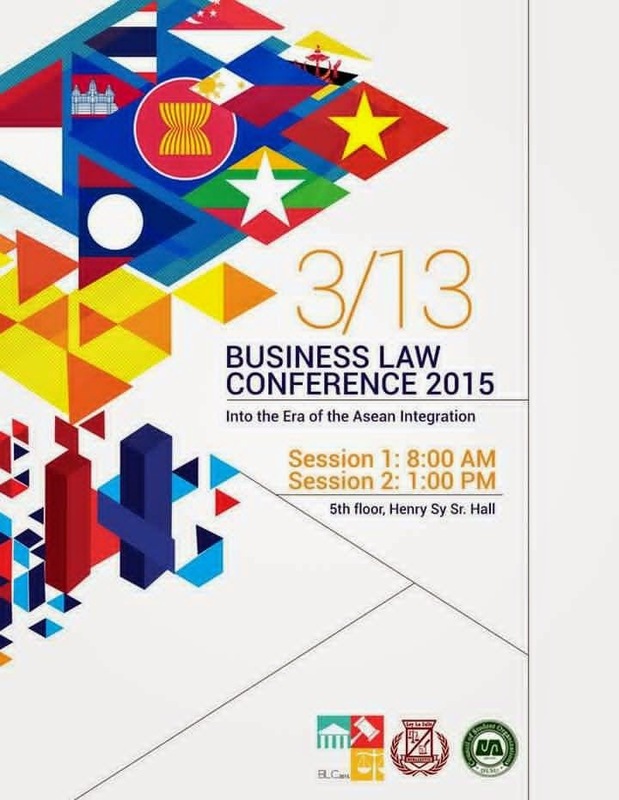 On March 13, 2015, Ley La Salle, the professional organization of Legal Management students and aspiring lawyers of De La Salle University, will hold its second Business Law Conference (BLC) with the theme: Into The Era of ASEAN Integration. From last year's successfully held conference, which tackled business and law in the technological age, this year's focus will be on the symbiosis between the domestic laws and the upcoming economic integration. Acknowledging the importance of being business-driven individuals, BLC is an event to look forward to be informed about the opportunities in store for everyone brought by the said integration. From deciding which career path to take to choosing what business venture to pursue, all of these will be discussed at BLC 2015. The conference will also dwell on the alongside implications of the political and economic assimilation of the Philippines with the other South East Asian countries. Here are some of the prominent speakers to educate you about the matter-- Senator Juan Edgardo "Sonny" Angara; Mr. Jonathan Yabut, winner of The Apprentice Asia Season 1; Atty. Tonisito Umali, Assistant Secretary for legal and legislative affairs of the Department of Education; and many more. Tickets priced at P250 per session. Attend two sessions and get it for only P400.